A once uninhabited island in the middle of the Pacific Ocean, Kahiko Beach has undergone a transformation and hopes to become one of the premier golf and surf destinations next to Hawaii! 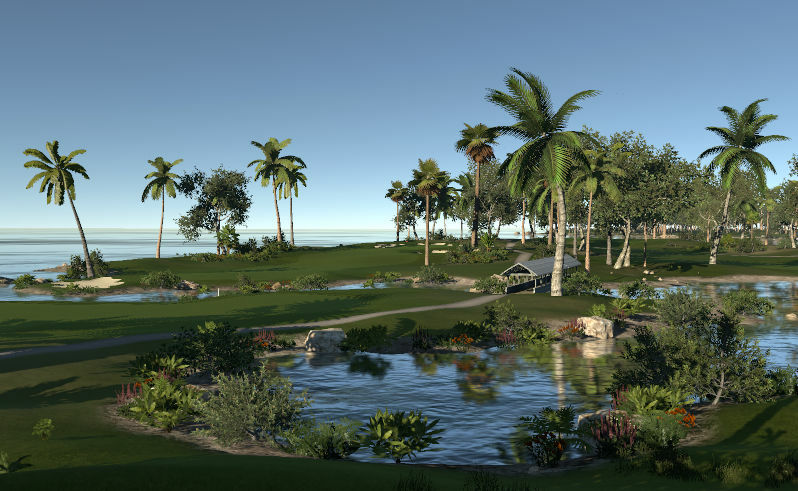 At Kahiko Beach Golf and Surf Club, you will find a course with stunning views and a stiff test of golf. And why not relax afterwards on our huge patio as you have a cold one to go with the day's catch and discuss where all those birdies went. 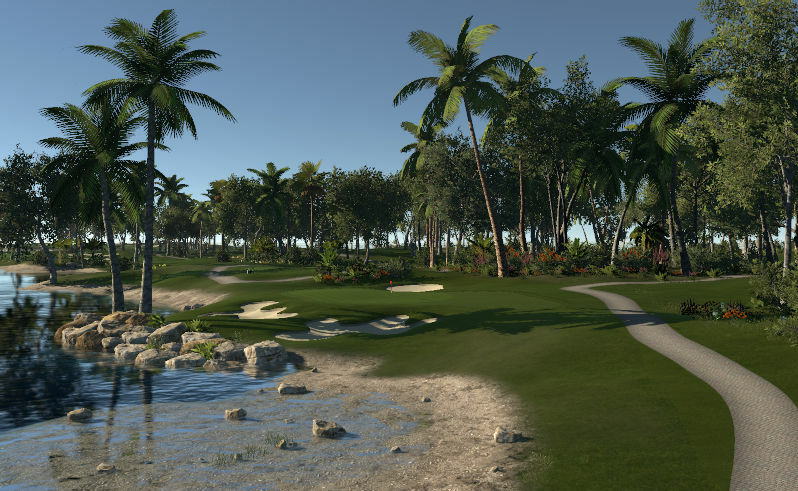 Kahiko Beach is another stellar course from one of the games most productive designers. 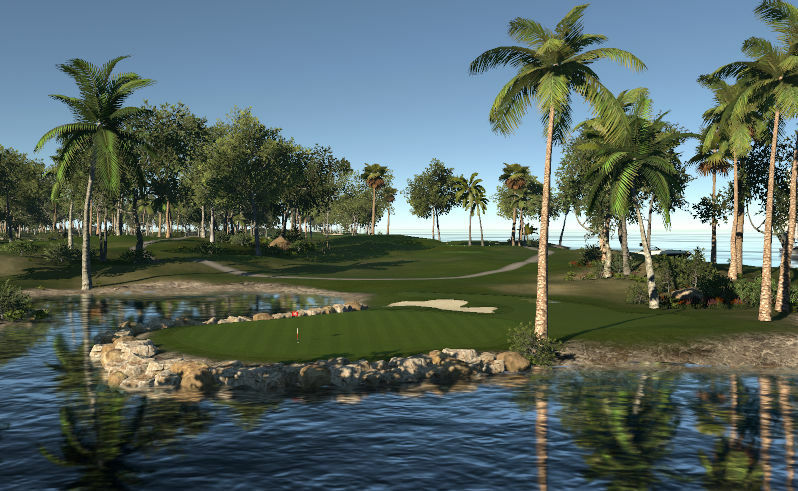 This course captures the essence of an Island resort course almost perfectly. While administering a mild challenge it excels at showing off one breath taking vista after another. There are some holes where the size of the green does not rally match the lengthof the hole with green erring on the large side (7th comes to mind) and some of the tee shots on the back gives a bit of a "deja vu" feeling. But while the course may not go down in history as one of the most strategically interesting it is without a doubt one of the best looking courses in the game.